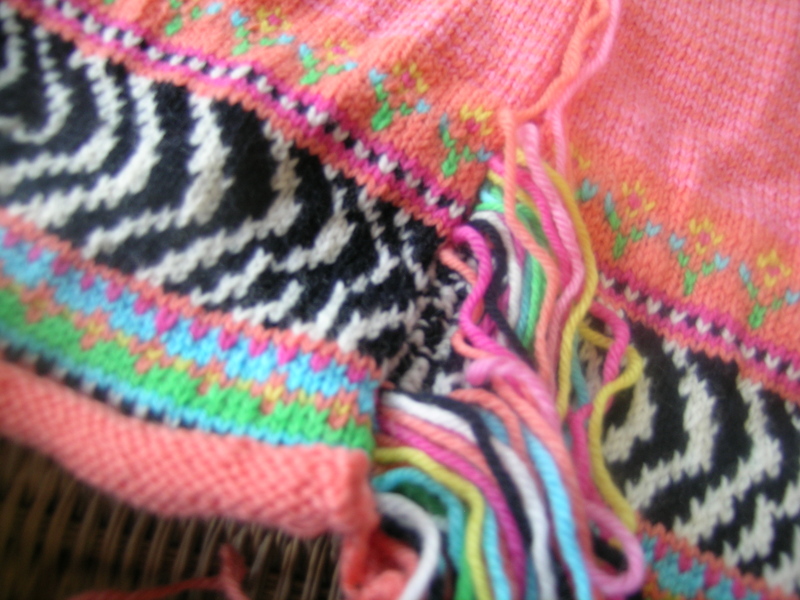 In the past, I have blocked sweaters and shawls on an empty bed. Not the most ideal, as it is hard to reach over, the bed “gives” when you are trying to stretch out, and right now there are no empty beds in our household. 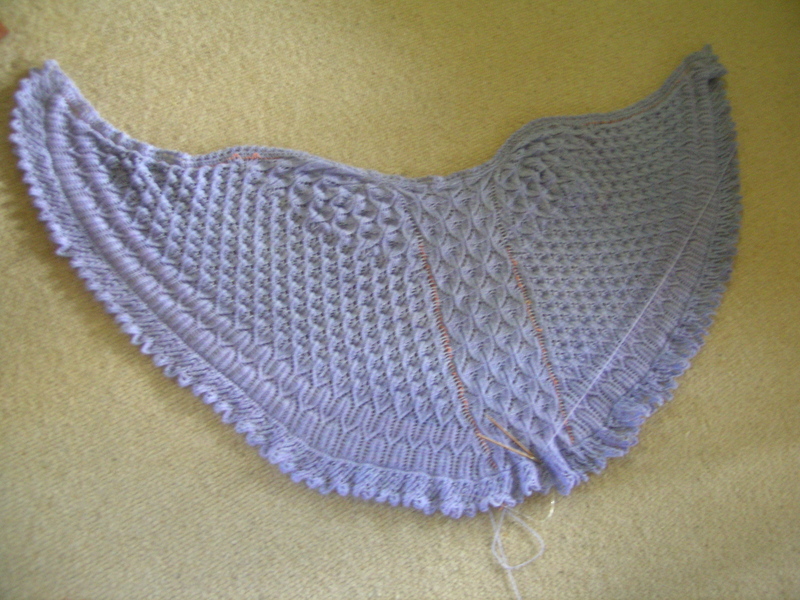 I had looked at the blocking boards in knitting catalogues, but they are not big enough for a shawl. 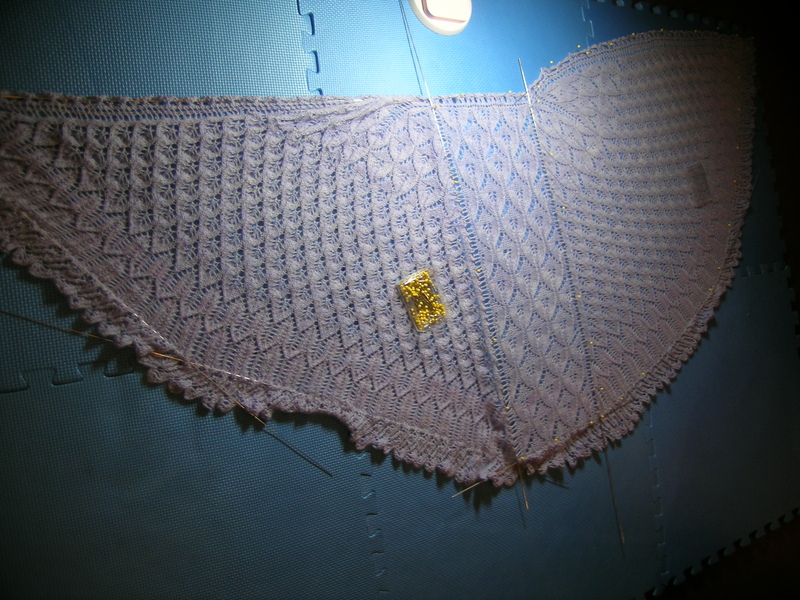 This shawl was about 72″ blocked at the top, not unusual for a Faroese shawl. So, I decided to go to the toy store, and purchase the closed cell foam play mats that are 24″ square each, and hook together like large puzzle pieces. I debated for a bit on whether to buy one or 2 packets, there were 4 squares per package. 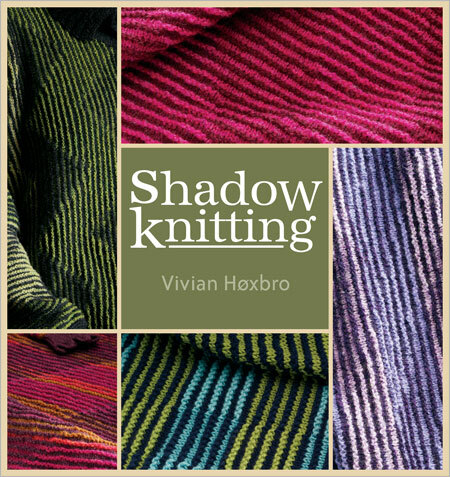 I made the right choice in purchasing 2, as it took 6 squares to lay out this shawl. Since these fit together in pieces, they are very flexible for different size projects. They also store away nicely, right now beneath the couch in the basement. 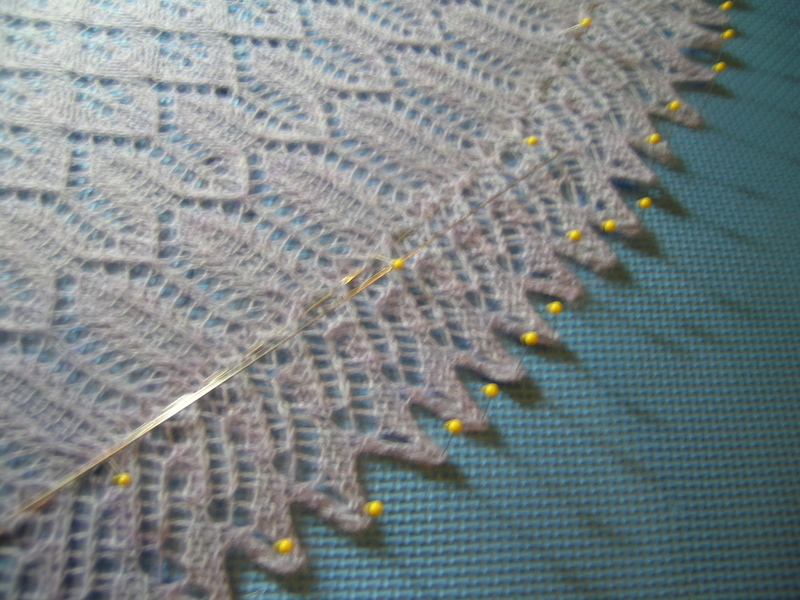 Next come the blocking wires, mainly used for shawls. 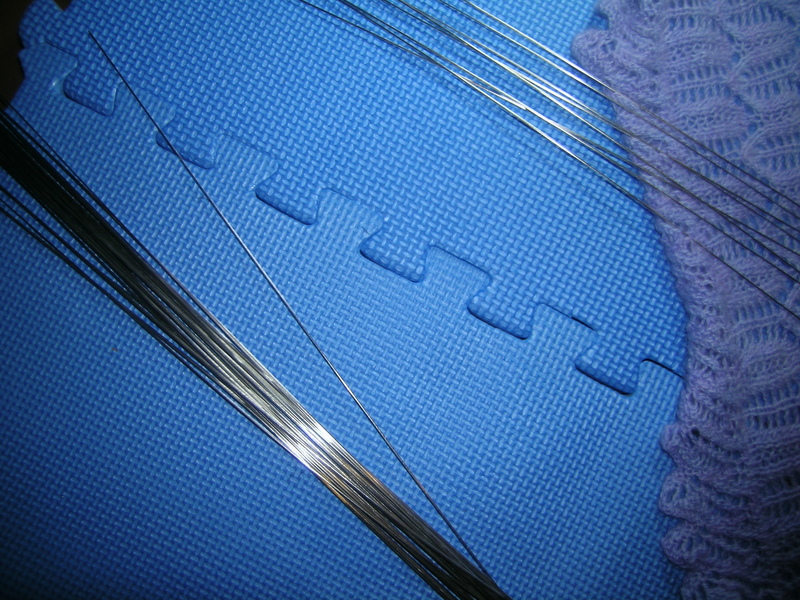 There are 3 thicknesses of wires, and 2 lengths. 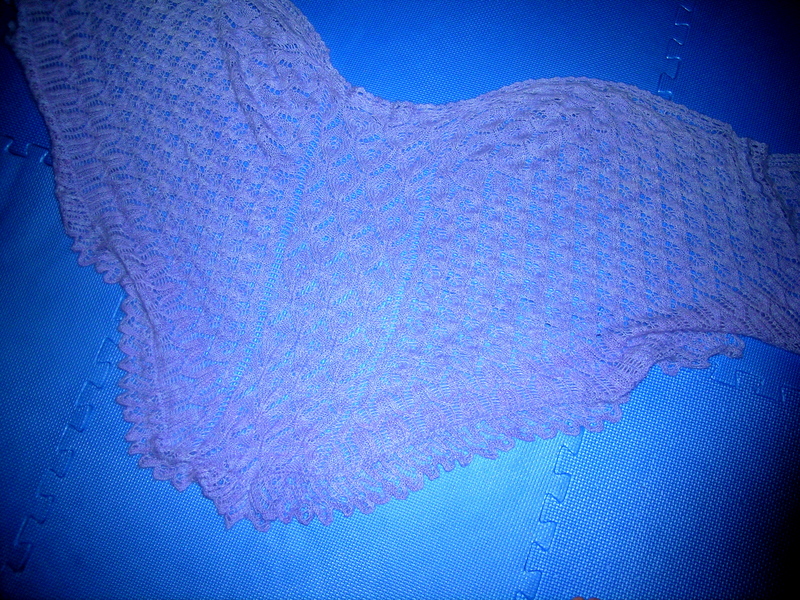 They are flexible, to allow for the curves sometimes needed in a shawl such as this one. 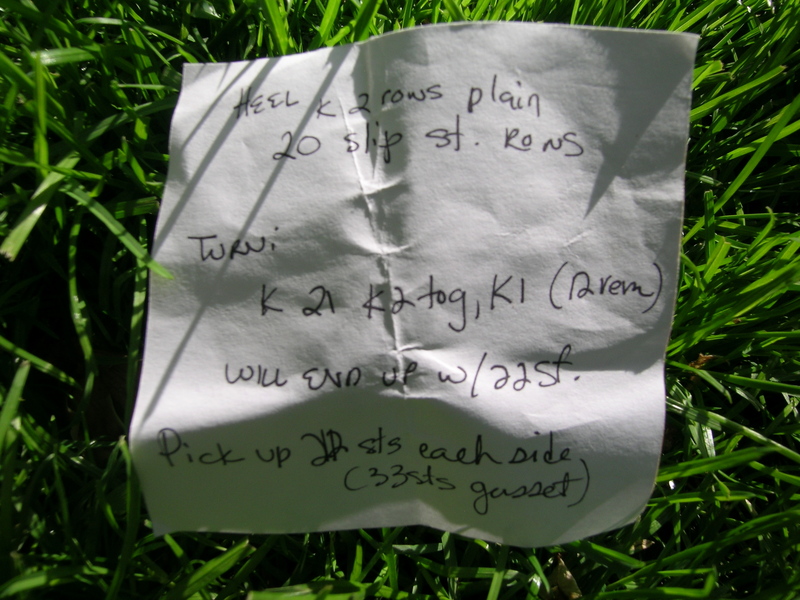 When not in use, they are stored in a long thin cardboard tube with caps that they arrived in. 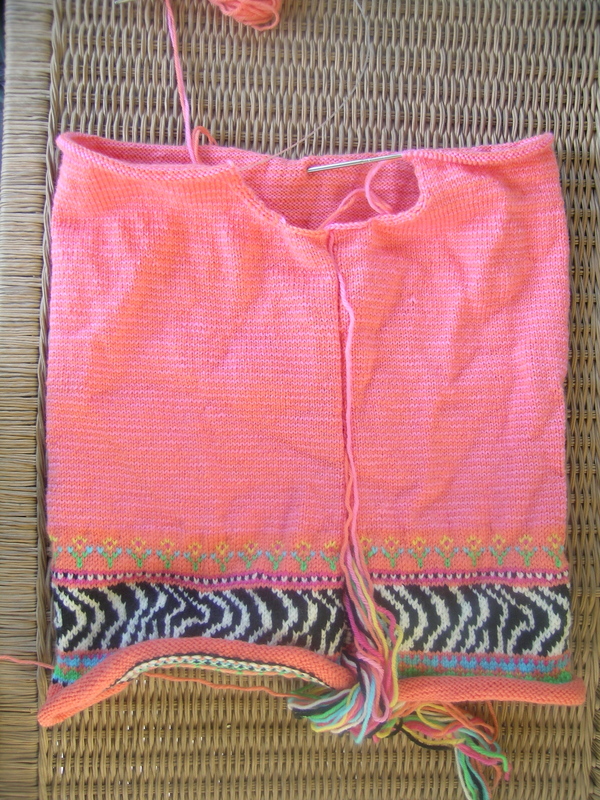 Then it was threading the wires through the outside of the shawl and along the center back panel. 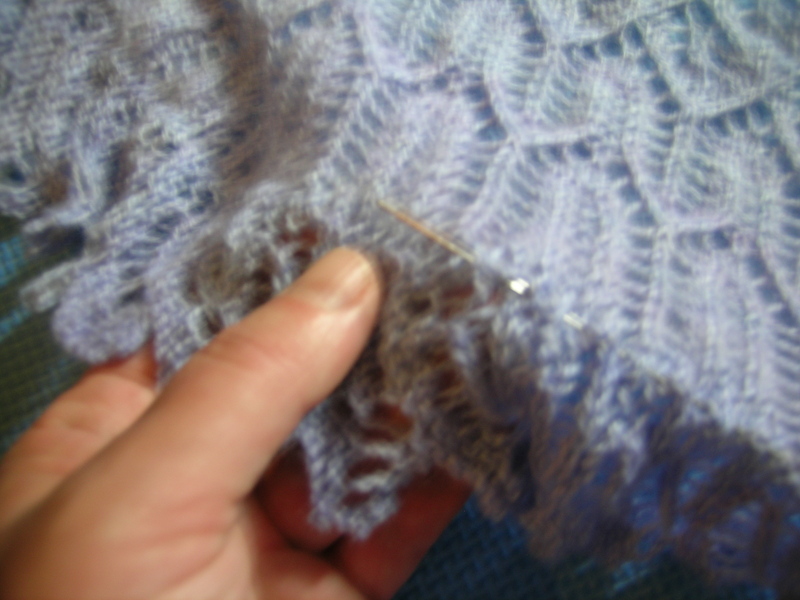 And then, lots and lots of pinning, including each of the 114 points along the bottom edge. 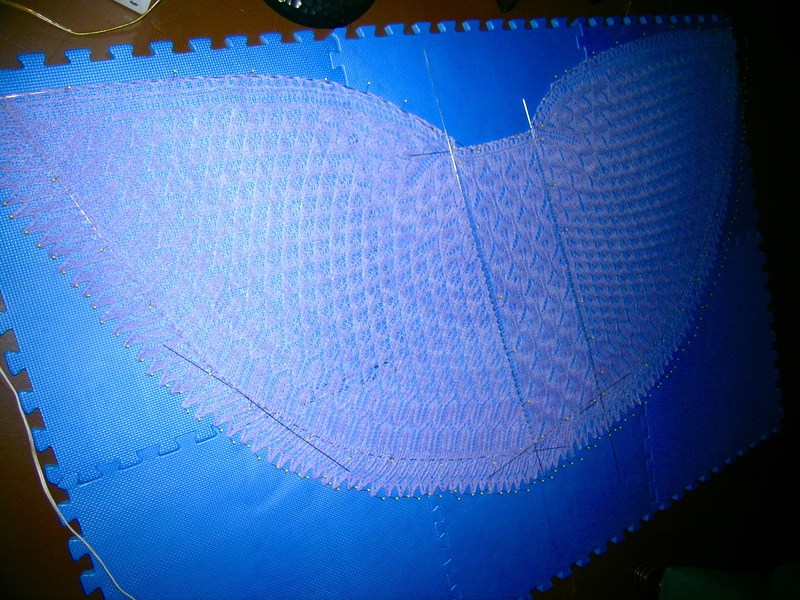 The pins go into the foam board, and hold the wires in the gentle curves needed and stretch out the shawl to block it properly and show off the beautiful pattern. Finally, at least a full day of drying. I wanted to speed this up, so put on the dehumidifier and fan. Results tomorrow. This is really helpful! 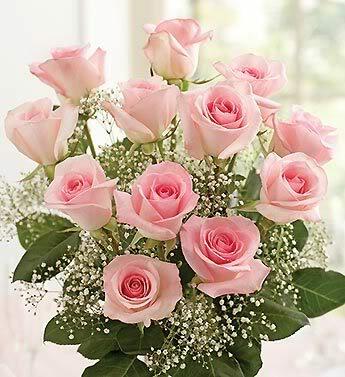 Thanks so much for posting this. 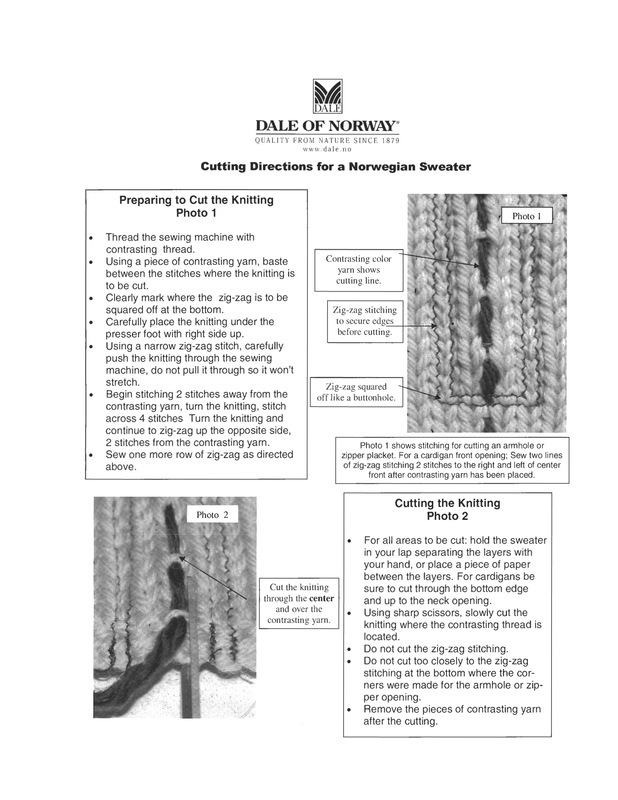 The directions for this sweater clearly state the sleeve increases—where to place them (separated by 2 stitches), how many, and how frequent. What they leave out however, is how to best do this. 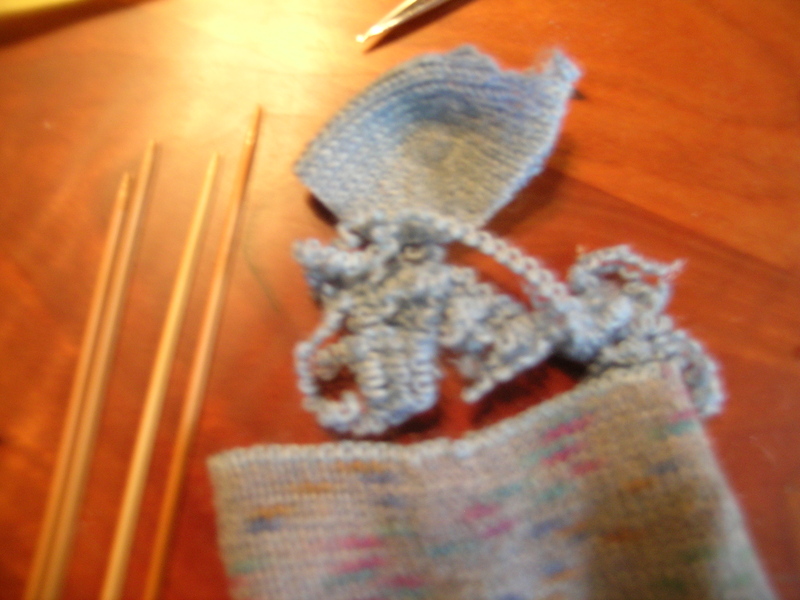 My preferred method is to have the 2 stitches between the increases always be in the main color. This accomplishes several things. 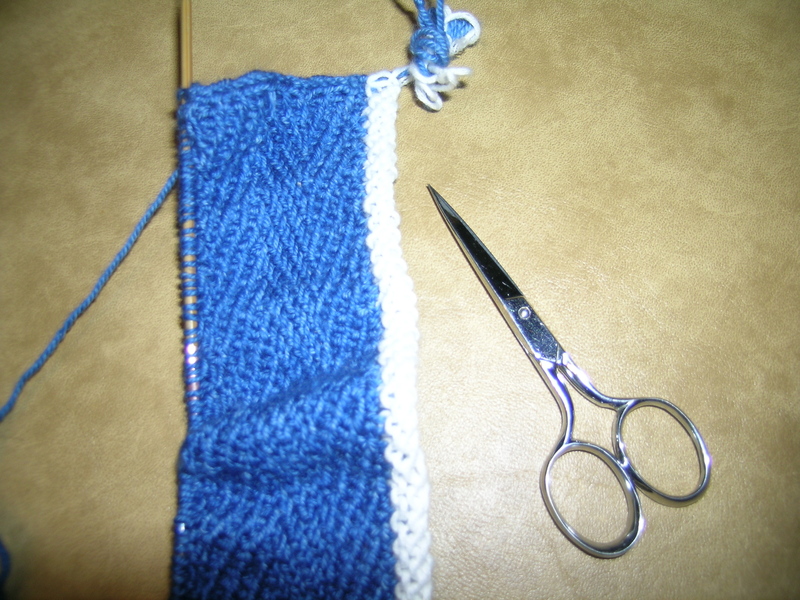 Because you are knitting a tube, one end of the row lines up with the beginning of the next row, and the pattern appears askew under the arm unless you have a separation between the start and end of a row. 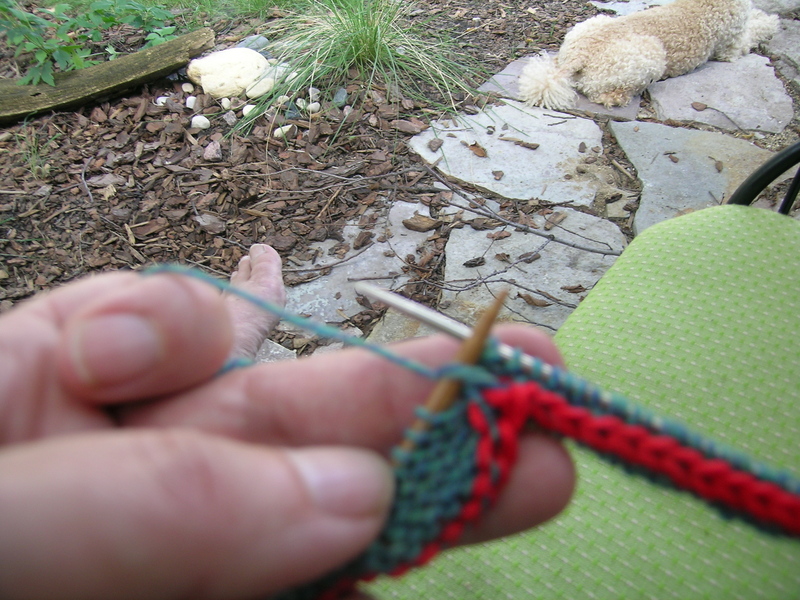 If you try to carry the pattern around the entire row, when you do the increases, the pattern can get a bit funky, and not flow well. 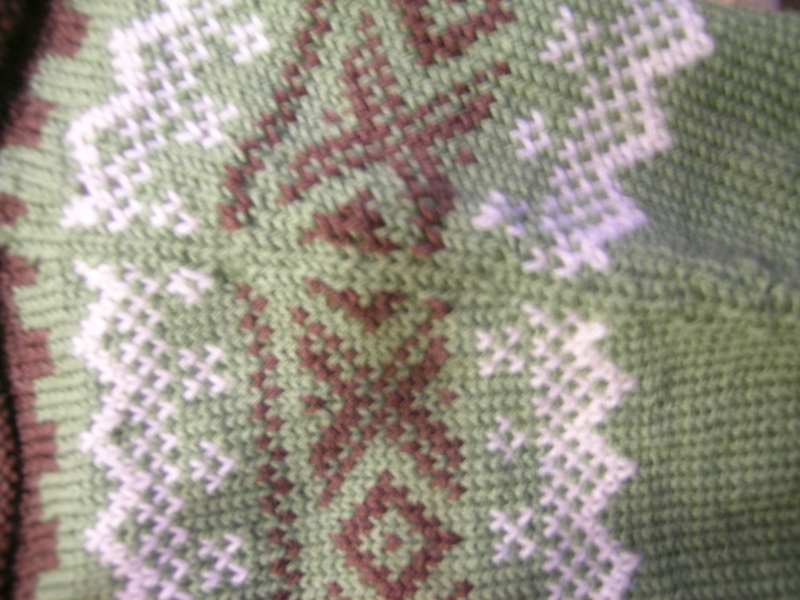 If the increases are separated by stitches (2 in this case), then the pattern flows well, and each increase just takes the next stitch in the pattern repeat. 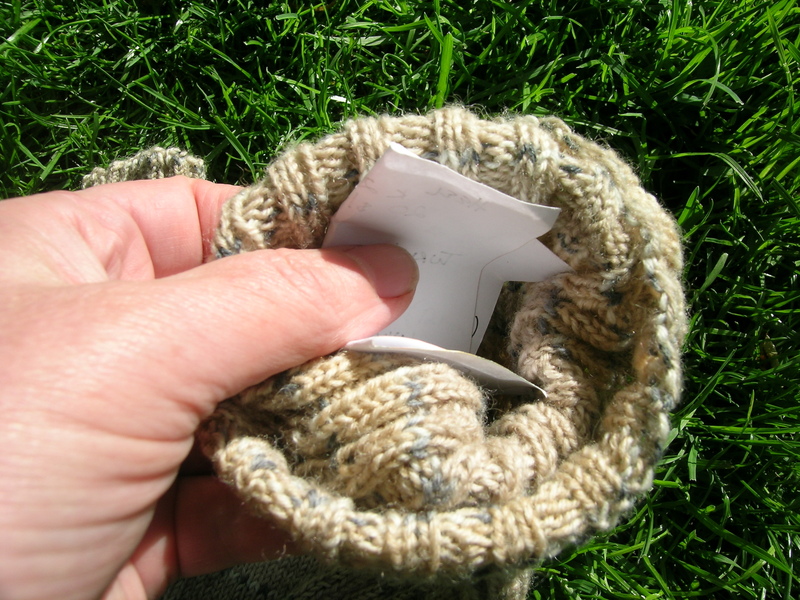 This also gives the illusion of a seam down the back of the sleeve,and has a very neat appearance. Thanks for this great tip! I will try to do this when I get to my Trondheim sleeves. 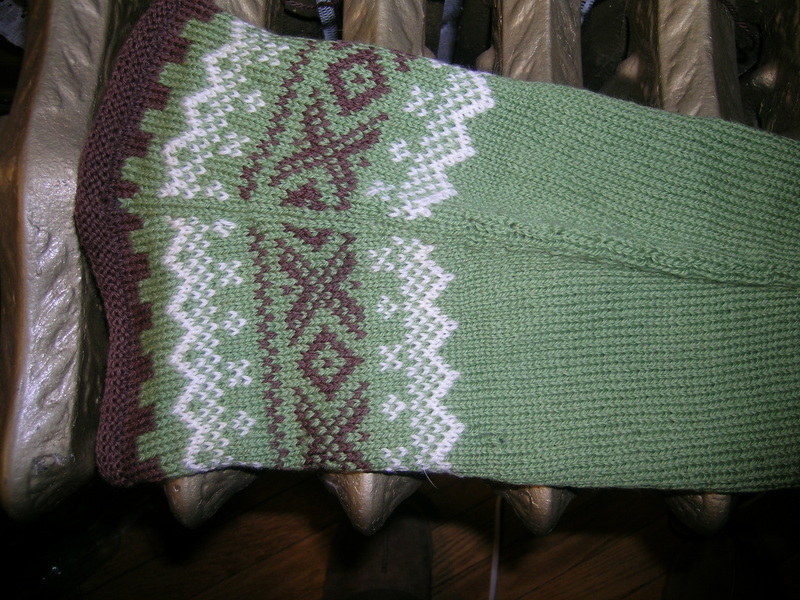 When I got that done (I had to go one row into the body of the sock because the ends had been woven in), I had to pick a new toe color. 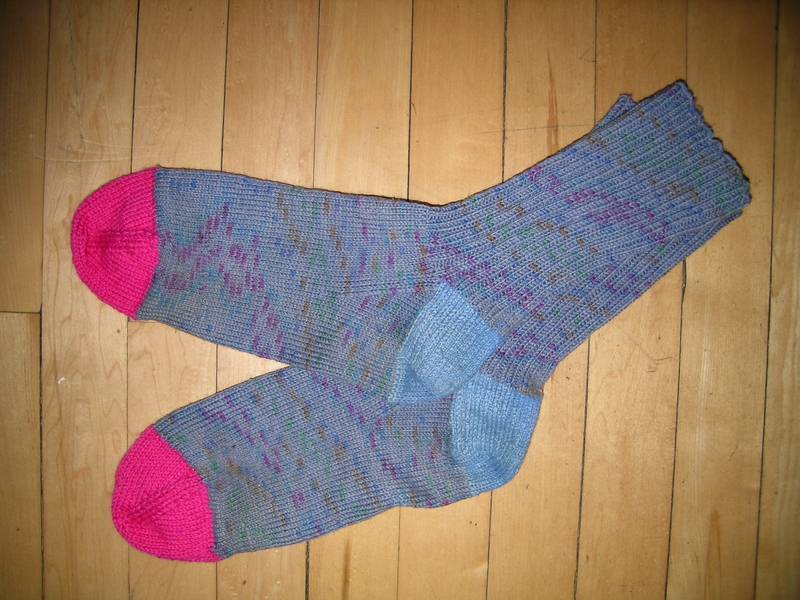 I read about this knitter one time who put really fun bright toes on her husband’s socks, as nobody saw them except at home. 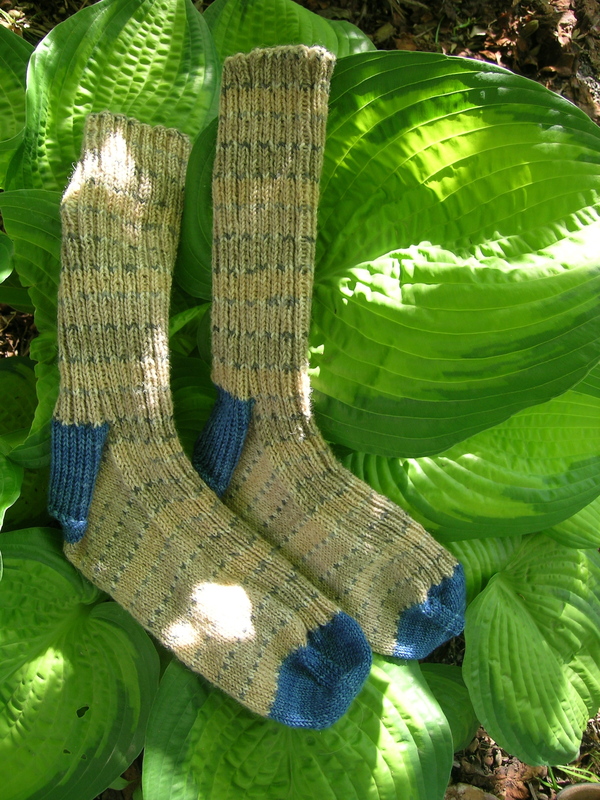 In his office is a knitter, who when she notices a new pair of hand-knit socks, has him take off his shoes so that she can see the toes. A little bit of a wild side. 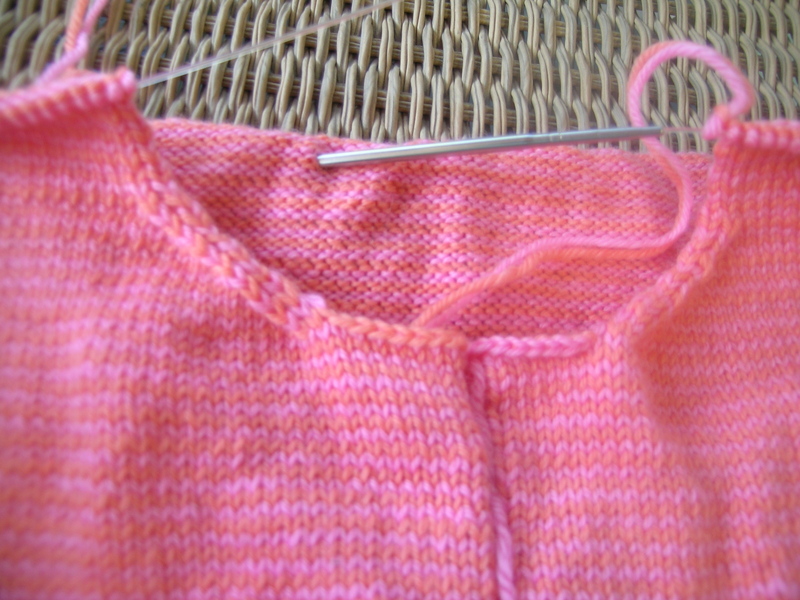 That said, I picked the pink color in the sock, and went from there. 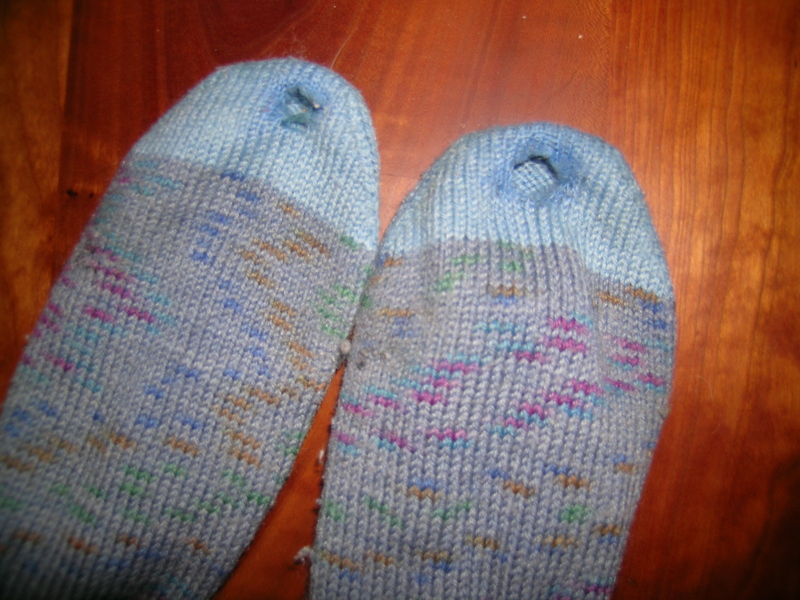 The toes are now so soft, and I cleaned up the rest of the socks and mended one other hole. Hopefully, there will be several more wears to this pair. 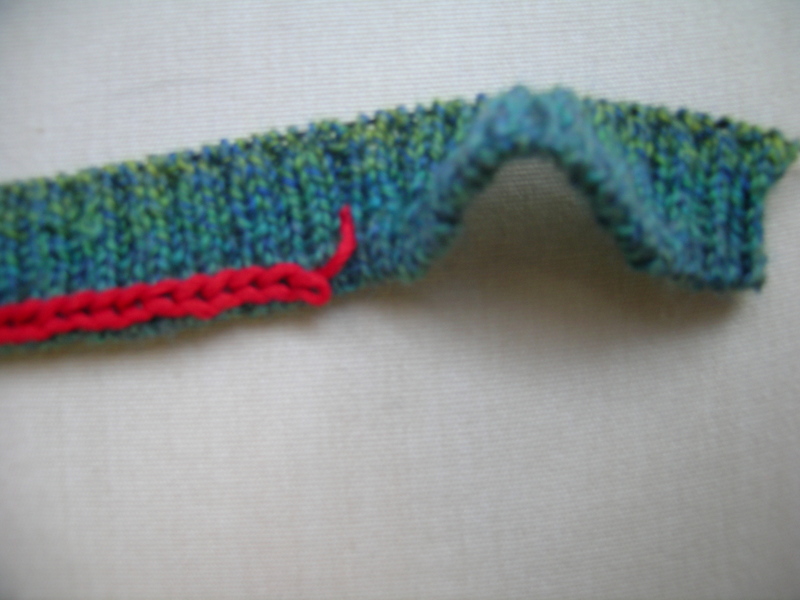 It was not a zip quick project, but definitely easier than knitting a whole new pair. And green too! I am judging by the age of the cherry in the first photo that this was taken atop of your dining table? Was the second taken on a newer piece? Maybe a Georgetown pedestal table? Or maybe on the dining table with different lighting. And the final, obviously on the kitchen floor. By the way I love the new toes. You are very astute. Moser tables make the best backdrop. I was doing THE EXACT SAME THING THIS WEEKEND. I haven’t been in a hurry to mend them, as I want my husband to understand fully the importance and consequences of not trimming his toenails. 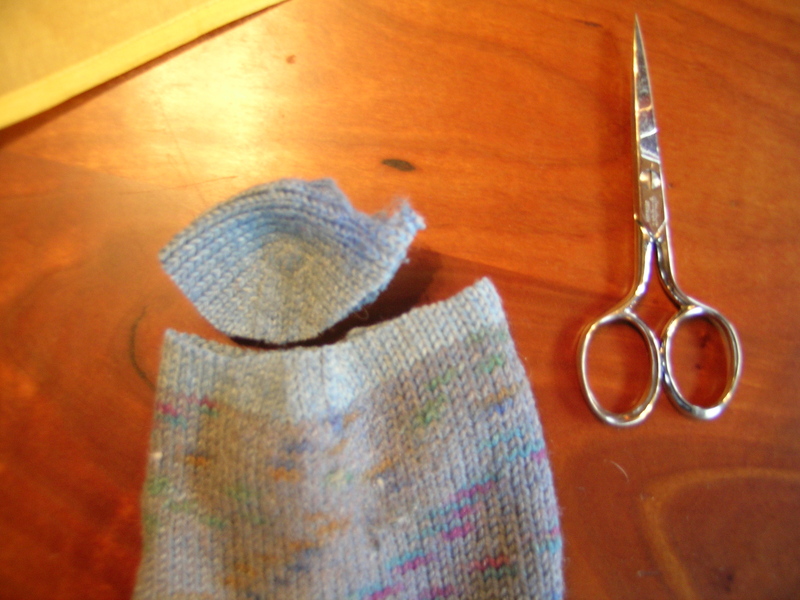 Yes, cutting toenails is a prerequisite to wearing hand-knit socks. That is one male trait I cannot comprehend.